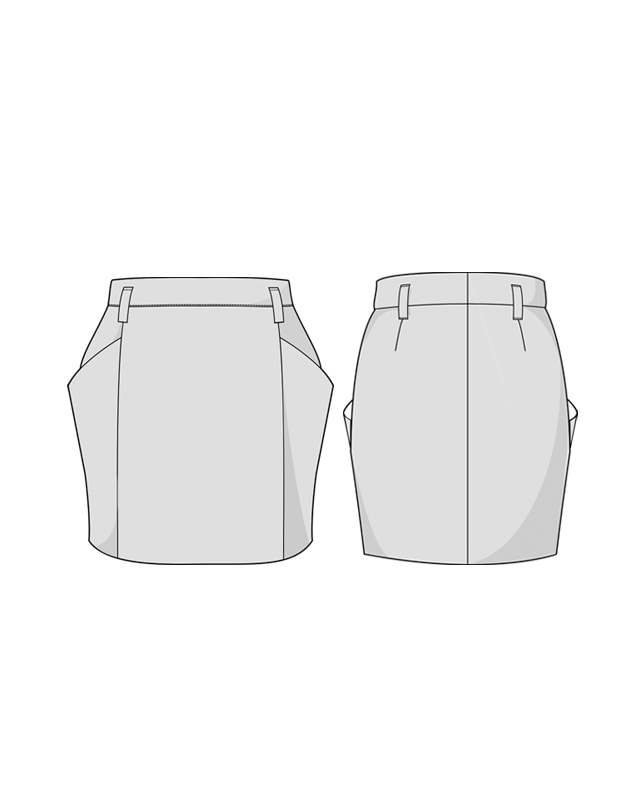 PDF sewing pattern for a fitted straight skirt. 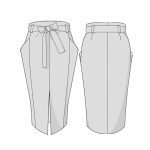 You can choose between two different lengths: short (above the knee, without a front slit) or long (upper third of the calf, with a front slit). The waist is high, with a removable belt under some belt loops. 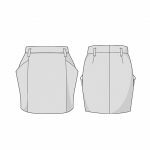 Berlin has two front pleats, that conceal wide side pockets. 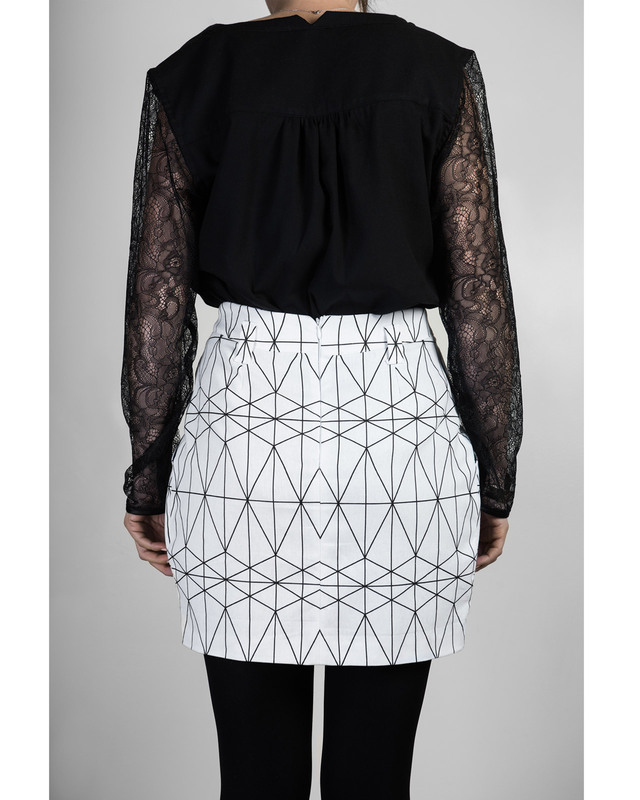 The skirt is closed with an invisible zipper at the center back and comes with a lining. Opt for a mid-weight woven fabric that can be made of wool or cotton. 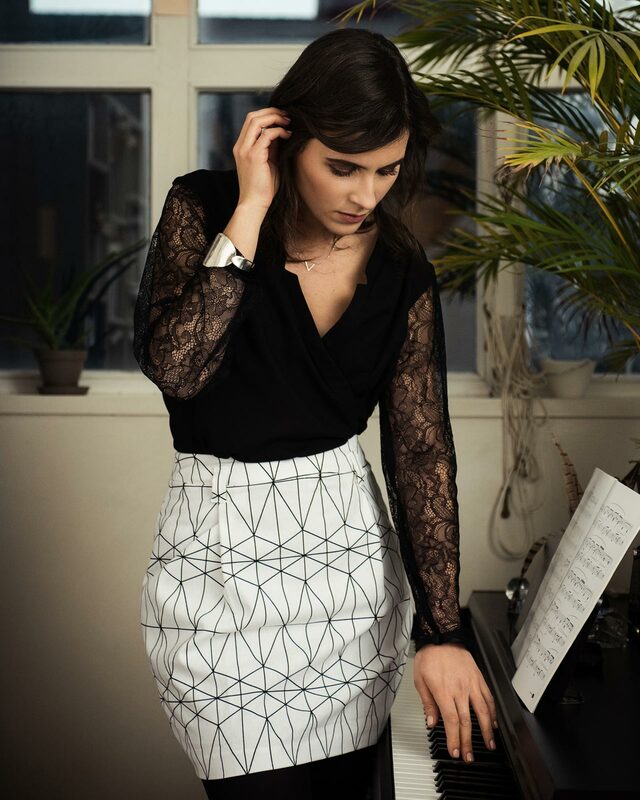 We can suggest Jacquard, gabardine, twill or even denim for instance. 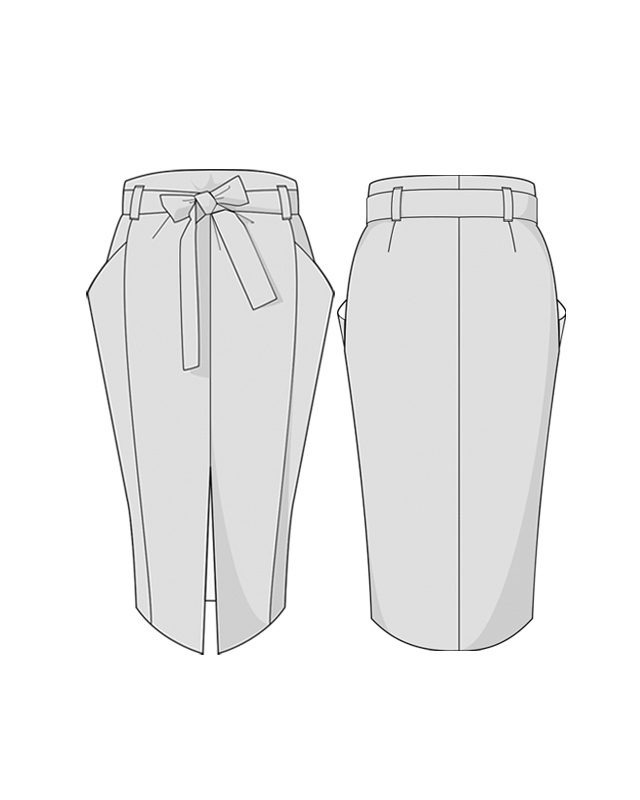 It is preferable to pick a fabric on which the pleats hold well. Choose a thin, slippery lining. All our patterns are digital only. You will receive a link to download a zip file, which contains several pdf files. For any questions about downloading, unziping and printing, see our illustrated user’s guide.